Washington and New York (CNN) President Donald Trump’s decision to bring on John Bolton as national security adviser jolted the usually careful diplomatic world enough that a few unusually frank adjectives slipped out. 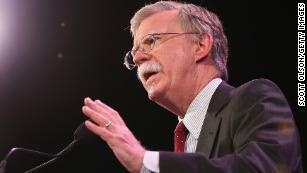 The famously hawkish Bolton will become part of a new trio advising and guiding Trump as he navigates unprecedented talks with North Korea, his possible departure from the Iran nuclear deal, and increased tension with Moscow and Beijing. 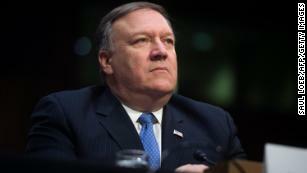 Haspel remains something of a cipher to the public, but Pompeo’s tenure as a lawmaker established him as a hardliner who advocated for bombing Iran even as negotiations on the international nuclear deal were ongoing. 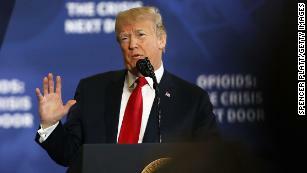 That history, along with Bolton’s advocacy for military interventions in North Korea and Iran, his dismissal of diplomacy and disdain for international law, has led some to warn that Trump will now be surrounded by the most hardline team to shape US foreign policy in years. The world reacted with caution and some dismay. In one quarter, there was warm praise. But at the UN, the place where Bolton is perhaps best known because of his tenure as ambassador from 2005 to 2006, officials chose their words with extremely diplomatic care, with some issuing veiled warnings about the need to defend the institution and its cooperative, collaborative ideals. With Trump already pre-disposed to dislike the UN — he referred to it as “just a club for people to get together, talk and have a good time” — Gowan said Bolton could deepen cuts the Trump administration has already made to its regular budget and peacekeeping operations and perhaps go even further. Reporters asked Dujarric to respond to some of Bolton’s more pointed criticisms of the UN. The lawyer and Fox News commentator has said there’s “no such thing” as the United Nations, that if the headquarters lost 10 stories, it wouldn’t make a difference, and that it would be a mistake to grant validity to international law. UK Deputy Ambassador to the UN Jonathan Allen was asked if Bolton’s appointment was going to test multilateralism, given his hostile views. Among Asian allies, dealing with an increasingly assertive China, the prospect of a trade war as Trump levies tariffs against Beijing, and an unpredictable North Korea, there was some concern. “This is worrisome news,” Kim Hack-yong, a conservative South Korean lawmaker who heads his parliament’s national defense committee, told Reuters. Bolton’s views on Pyongyang were most recently on display in a February 28 commentary that laid out what he called a “perfectly legitimate” case for a pre-emptive strike against North Korea. It used an example from 1837 as the basis for his justification and made no mention of the thousands of Americans and hundreds of thousands of Koreans who would die in the event of a US military attack and North Korean reprisal. Kim was among many observers who worried about the repercussions if planned May talks between Trump and North Korean leader Kim Jong Un don’t go well. Japanese Foreign Minister Taro Kono said he was “a bit surprised” that former national security adviser H.R. McMaster was out, given that he’d just met him the week before in Washington. That said, Kono told the Japan Times that he didn’t expect big changes given the “complete agreement” between Washington and Tokyo. In 2006, Bolton was working with the Security Council on North Korea resolutions after illegal missile and nuclear tests. At one meeting the North Korea representative walked out on the Council, which Bolton compared to former Soviet leader Nikita Krushchev pounding his shoe on a desk in the General Assembly when upset. Middle Eastern reaction was clearly divided. Across the region, countries are waiting to see whether Trump will walk away from the nuclear deal with Iran on May 12, the day he has to continue to waive sanctions on Tehran or pull the IS out of the agreement. Trump has set that day as a deadline for US and European negotiators to find a way to change the deal. In Iran, the spokesman of the powerful Guardian Council pointed to Bolton’s ties with a group that opposes the government in Tehran, and said it showed Washington’s continued support for terrorist groups operating against Iran. “Now the question is why Bolton has been assumed to a sensitive position,” he wrote in a piece for the semi-official Fars News service. 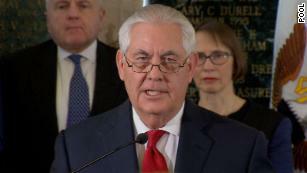 The Lebanese newspaper al-Akhbar, aligned with the Shi’ite militant group and political movement Hezbollah, used the headline “Zionist Hawk in the White House,” to alert readers to Bolton’s new job, Reuters reported. CNN’s Olivia Kiely, Hande Atay Alam, Jennifer Hauser, Kristina Sgueglia contributed to this report.